On July 17, Houston Rockets CEO Tad Brown announced that the club owner Leslie Alexander had decided to sell the team. Yao Ming, Chinese basketball legend and newly-elected Chinese Basketball Association (CBA) president, on Friday refuted the rumor about his possibility of buying NBA's Houston Rockets. 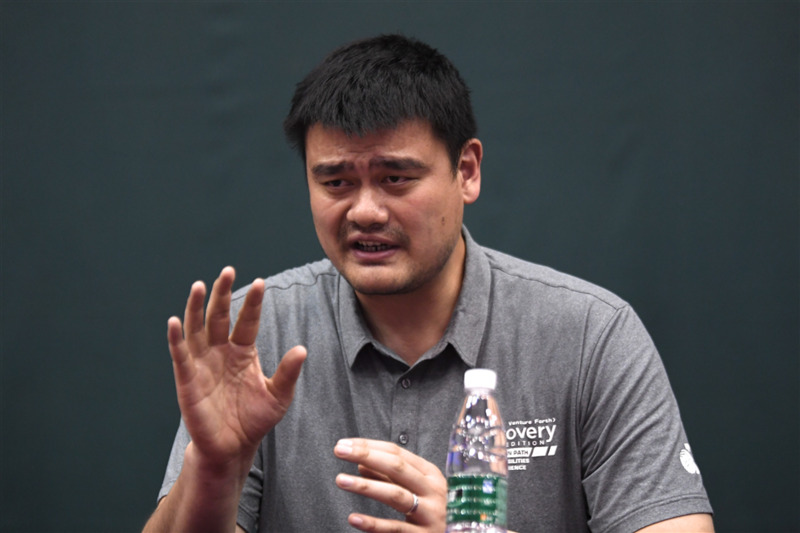 Yao, who played for Houston Rockets as a center from 2002 to 2011 and helped the team reach NBA playoffs four times, told Xinhua that he is fully dedicating himself to CBA now. "I have no time to consider anything else (including buying Houston Rockets)," Yao said. "There is no set timetable for the sale as we want to find the right buyer. We won't rush the process," Brown added. Since then, the topic has been heated up by many reporters, mainly from America, who suggested some potential buyers including Yao Ming and Lebron James. Yao officially announced his retirement from injury in 2011. Then he bought his hometown team, the Shanghai Sharks. Earlier this year, he was elected as new CBA president. Speaking highly of his former boss, Yao wishes Alexander a better life in the future and expresses his hope that Alexander, accompanied by Chinese young talent Zhou Qi who signed the Rockets this month, can visit China.